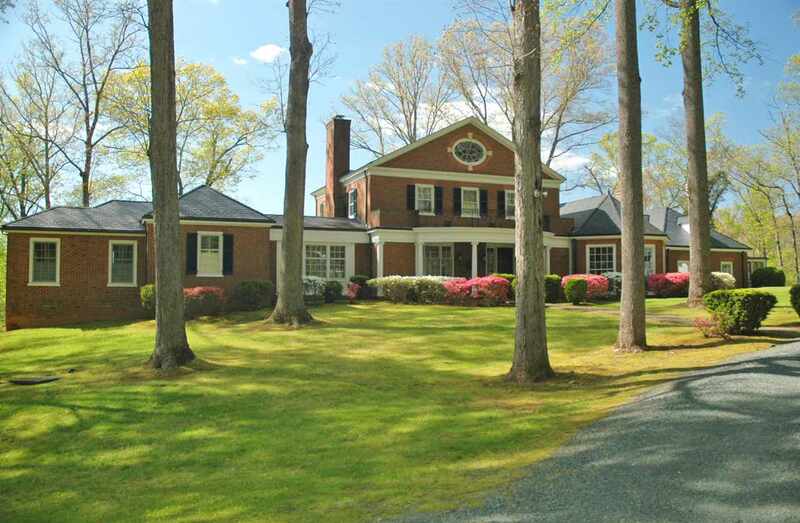 New Estate Listing in Albemarle! Beautifully maintained home and property in Free Union. 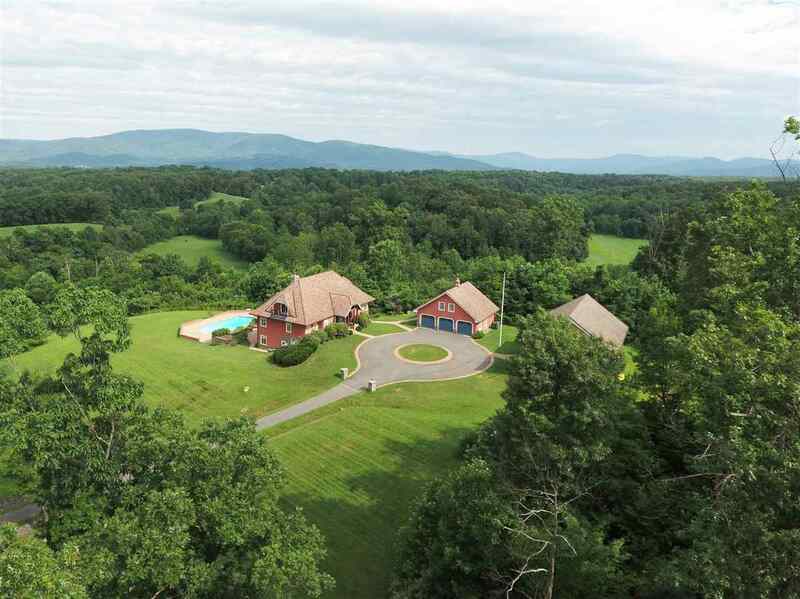 Over 32 acres and 2 homes with magnificent Blue Ridge views. Main home was built in 1996 and offers an open floor plan, lots of light and a recently renovated master bathroom. Hardwood floors throughout the main level. You\'ll love the large front porch for sunsets. Finished walk out basement provides great additional living space. 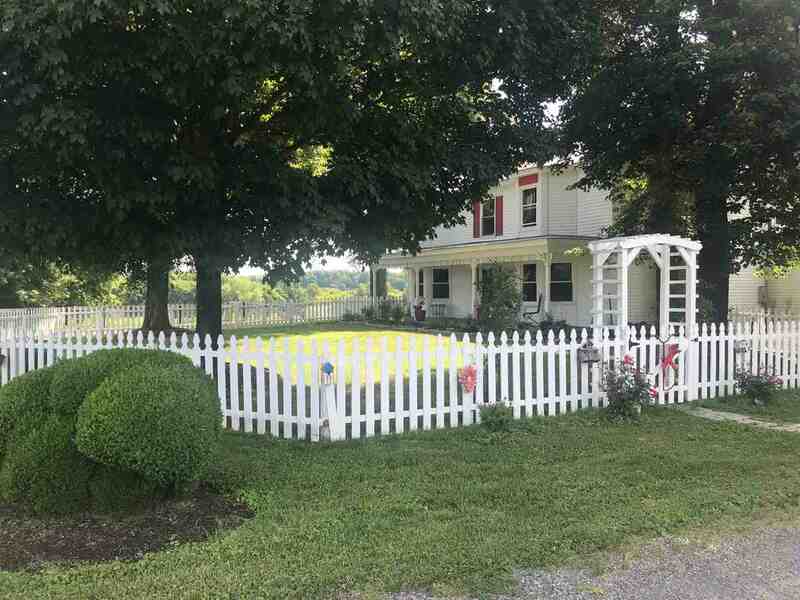 Additional farmhouse is an exceptional short or long-term rental opportunity - tons of character and charm throughout. Back parcel of 21 acres features an elevated building site. 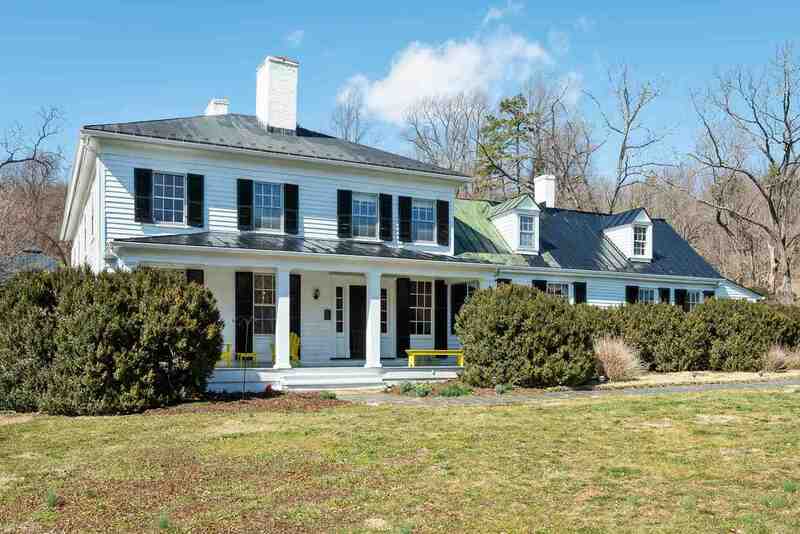 This property offers exceptional privacy, flat land for gardens, access to a creek, & is a short drive to Barracks Road, downtown Charlottesville & UVa. Western Albemarle schools. 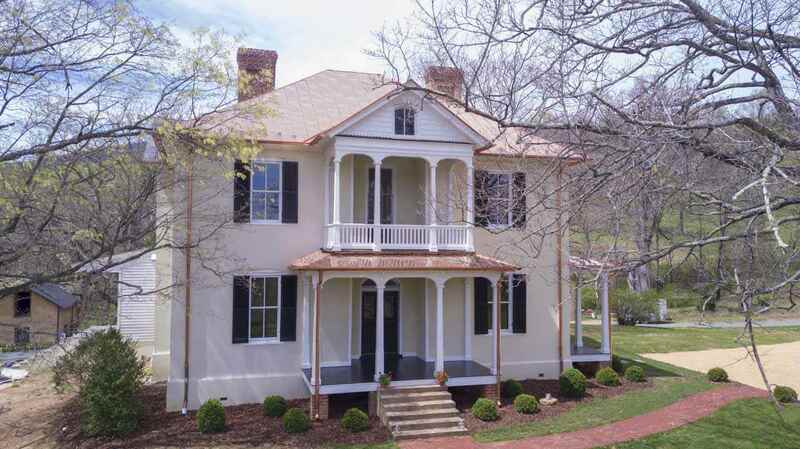 Seronera has a special Rappahannock ambiance with a sense of time and place that makes it a quiet and relaxed refuge. 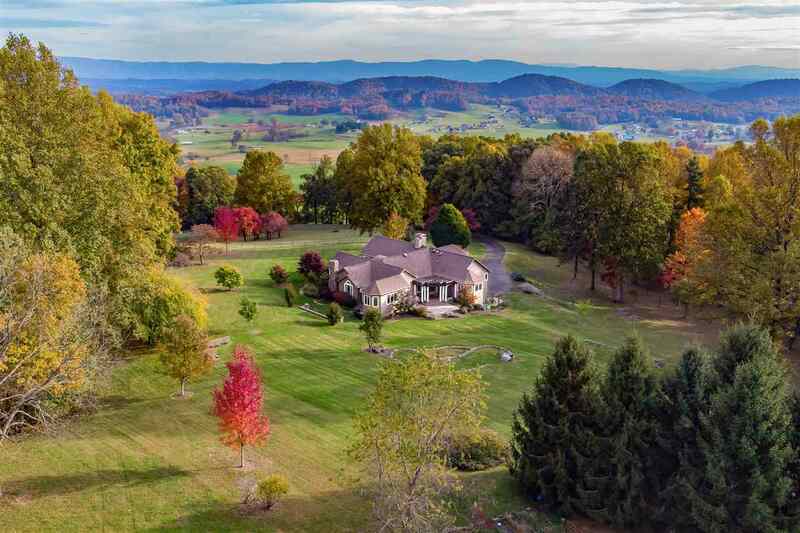 The landscape is surrounded by 360-degree views of mountains, foothills, fields and rolling pastures, with the Blue Ridge Mountains and Shenandoah National Park dominating the horizon to the west. 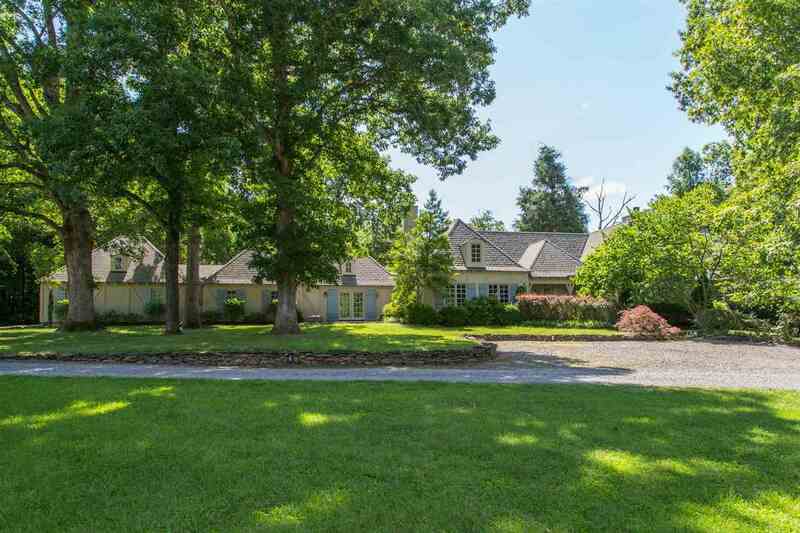 Shade trees and landscaping featuring native plants surround the 5 bedroom home. 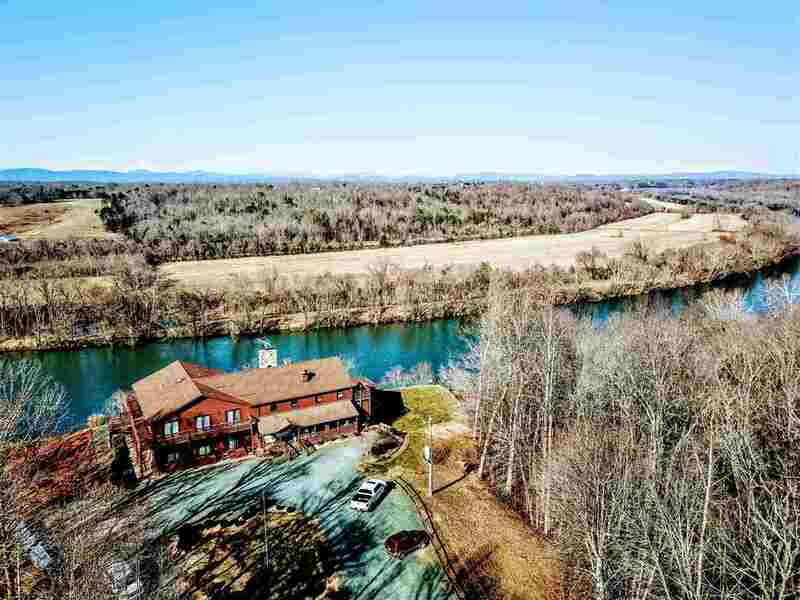 Above the Rivanna River 4 miles from Downtown Charlottesville, this beautiful Timberframe home resides in ultimate privacy. Here, a Craftsman style plan executed by Builder Glenn Robinson & Timbersmith Construction rises from a square to a tee on the 2nd floor and finishes with 13 distinct roof planes. Hardie Plank exterior is capped with architectural style shingles. The interior is marked by a Great Room in the center of the plan rising to 25\'. Great Room, kitchen and Dining are separated by a grid of posts and beams. The interior features a first floor master bedroom. Deep, wide and high porches, swimming pool. 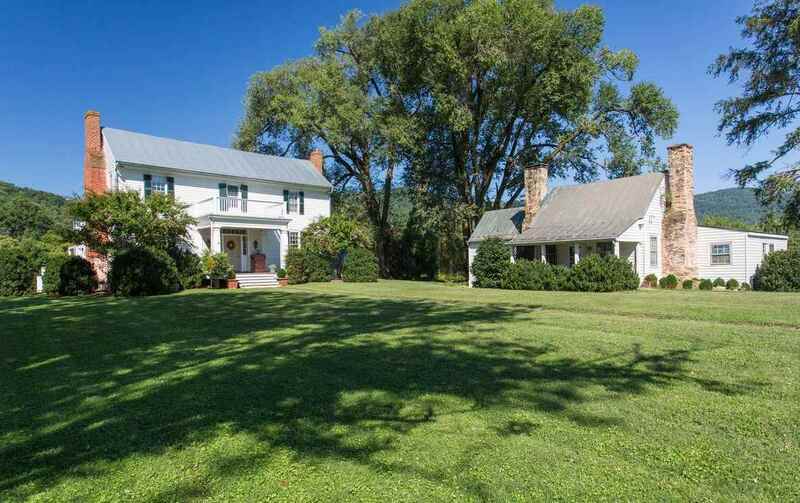 The 30+ acres is lawn & hay production with 1607\' on the North Fork of the Rivanna River. 2-car garage with shed row. 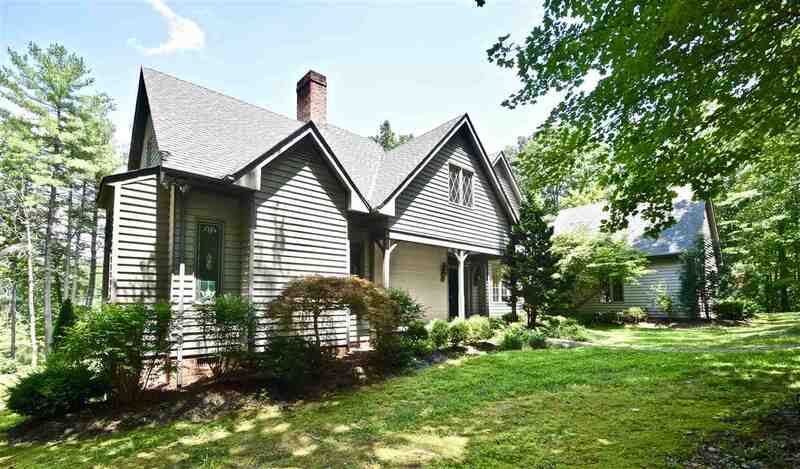 Beautiful home and situated within a short commute to Charlottesville. Discover the peace and tranquility of Llama Farm Road. 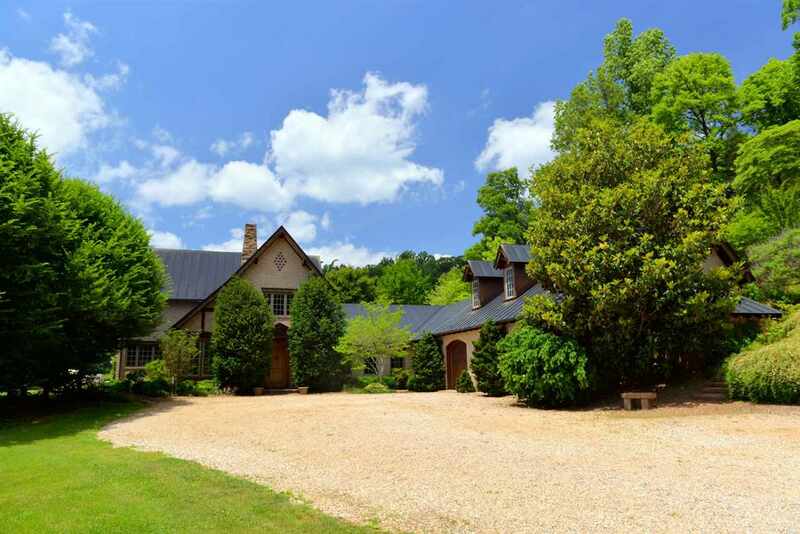 This stunning location offers a country setting on your private 24+ acre retreat. 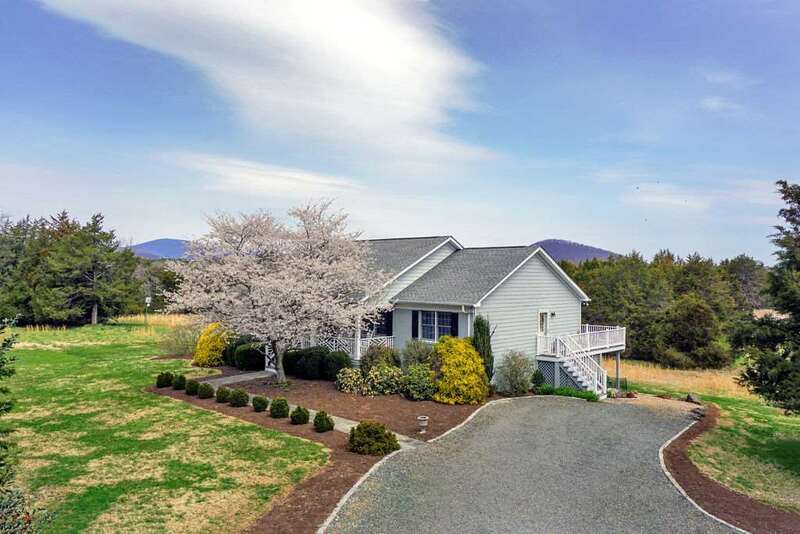 Complete with Redbuds, Dogwoods, and an orchard and a multi-functioning cottage. The home has a spacious dining area perfect for entertaining and socializing. The modern hardwood floors complement the floor to ceiling custom built cabinetry. Situated next to the main residence you will find a cozy cottage great for a mother-in-law suite, a possible home for your never-left home or returning child, or a great studio/office. 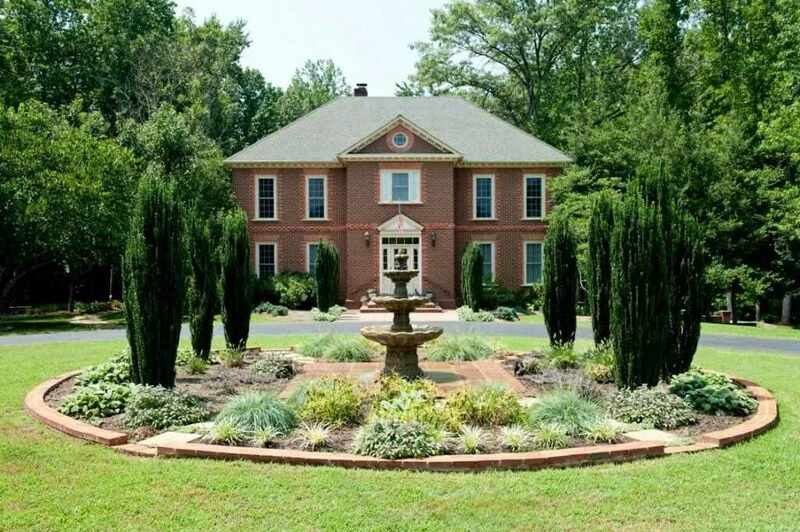 Landscaping, paved driveways, and a whole house generator complete this incredible offering. 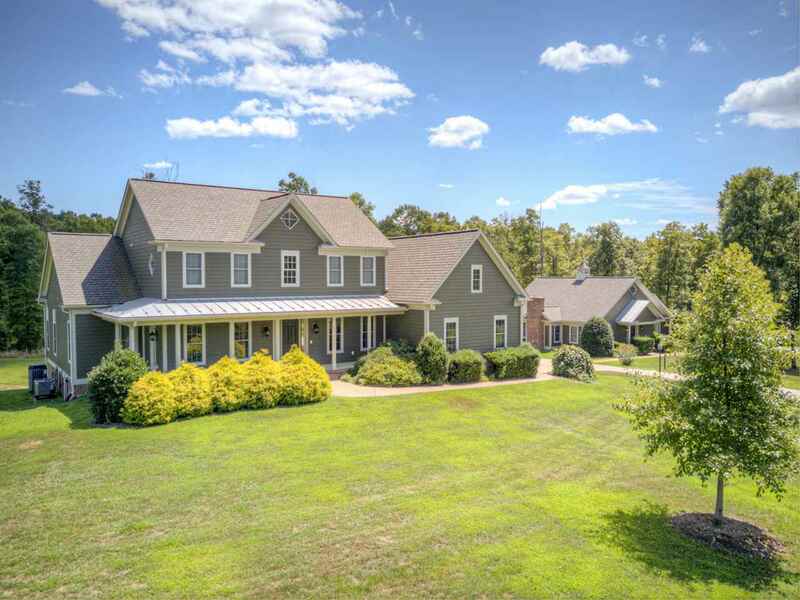 This exquisitely updated home is sited on 29-acres and exemplifies quality and exclusivity through its uncompromising standards, privacy and location. A luxurious master suite addition creates a private retreat away from the main living area. The intimate floor plan is distinguished by alluring craftsmanship and includes an exceptional kitchen, elegant dining room, cozy family room with stone fireplace, and a gracious living room. The upper level offers a tasteful guest suite, second master suite, 2 additional bedrooms and a laundry closet. One-of-a-kind terrace level has an extraordinary wine cellar, exercise room, spa-like bathroom with steam and sauna rooms, and a walk-in safe room. There is a 2-car, attached and 3-car detached garage. Set in absolute tranquility & privacy yet w/ panoramic Bl Ridge views, this dramatic Georgian in the M-Lewis District has been updated, expanded brilliantly. Russell Skinner designed the stunning great room addition & Charles Stick, the arresting landscape design. The floor plan suits both casual living & entertaining, w/ kitchen, family room & great room all flowing gracefully out to the expansive, level rear lawn & views beyond. 2 large covered porches from which to soak in the setting or keep an eye on children. Complete w/ formal gardens, tennis court, fire pit, magical outdoor gathering areas & water views, this wonderful estate awaits its next chapter. 15 mins W of town, in the heart of Free Union estate country. 12 mins to airport. 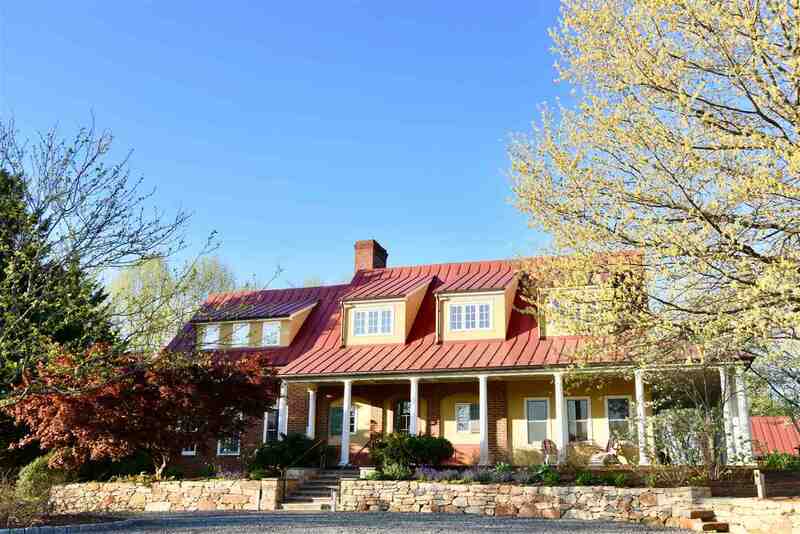 Only 10 miles from Charlottesville in desirable Western Albemarle, this private manor home offers outstanding mountain and water views. A great location near a number of wineries, parks and breweries. The property consists of 23.6 acres with a division right. There are two stocked ponds and two streams. 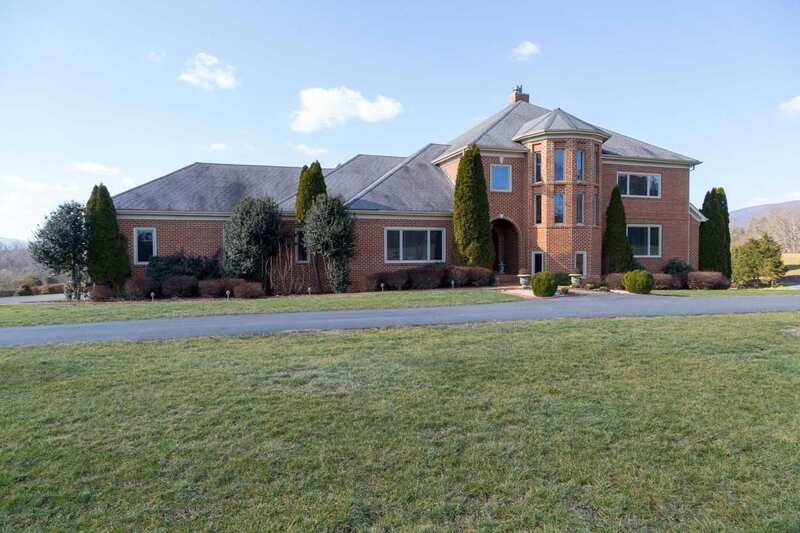 The exquisite custom brick home has many high end finishes and was designed to take in views from every angle. An impressive great room with cathedral heigh ceilings, gourmet kitchen with Thermador stove top and SubZero fridge, large master bedroom suite, fully finished basement with kitchenette, additional bedrooms and baths, and rec room. A true masterpiece in the heart of the country. 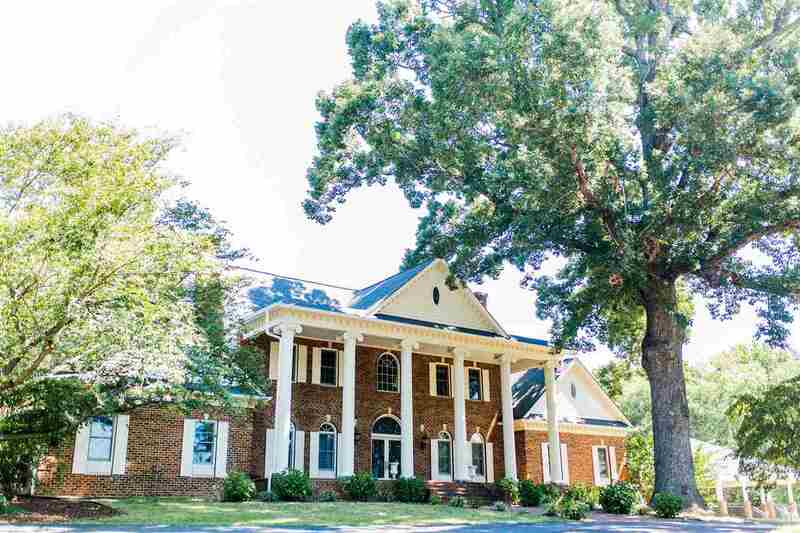 Eden Try is an established premier wedding / special events venue in close proximity to Fredericksburg and the NOVA metropolitan area . The 12 acre property has privacy , a producing 2 acre vineyard , a tasting room with deck and a lovely wedding barn with an outdoor wedding amphitheater and bride\'s cottage . 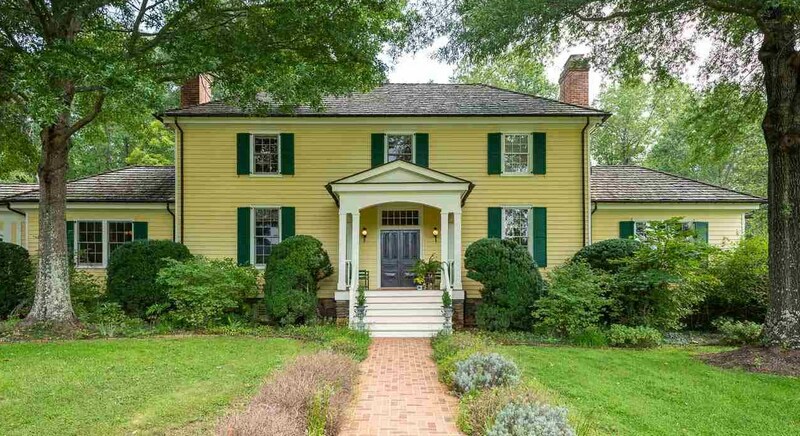 The house is a replica of the \"John Wythe \" house , in Williamsburg , and has a master bedroom suite with walk in closets , a renovated open kitchen with granite counters and a chef cooktop , a wine cellar and many other quality amenities . 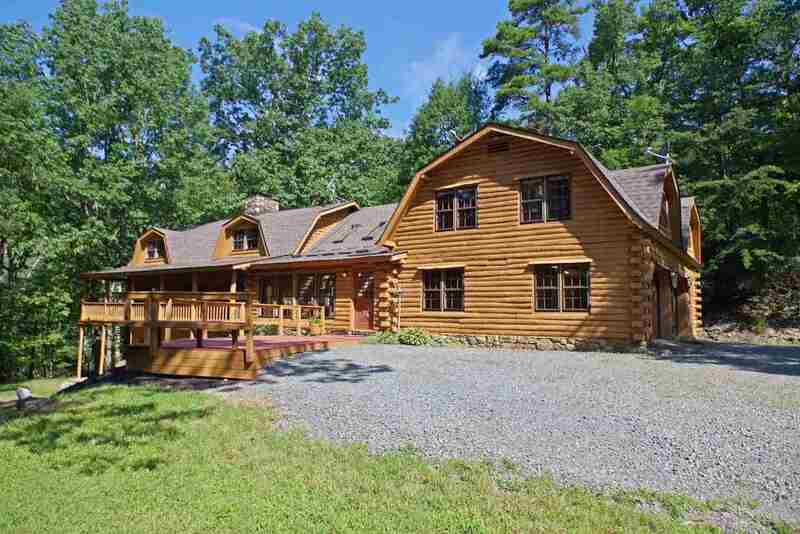 This one-of-a-kind log cabin brimming with rustic charm is privately nestled among 177 wooded acres. Enjoy relaxing & entertaining on 3 outdoor porches. Stay warm in the winter months with 2 wood-burning fireplaces & 1 gas. Main level: sun room, eat-in kitchen, dining room, great room, home office, laundry area, full & half bath, & a 2-car garage. Upstairs: master bedroom with private full bath & 2 walk-in closets, loft den, 2 additional bedrooms, bonus room, & full bath. Walk-out basement: family room, bedroom, full bath, & large storage room with built-in shelving. Exterior freshly stained; new carpet in upstairs bedrooms & basement; fresh interior paint throughout. Only 4 mi. to I-64; 6 mi. to UVa, UVa Hospital, and downtown C\'ville! 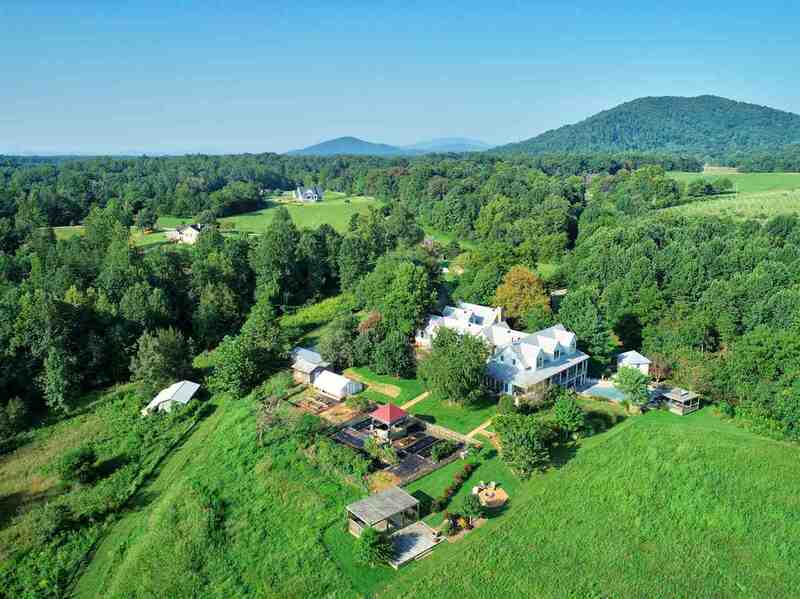 Cold Creek Farm in the heart of the Rockfish Valley is a significant 184 acre property at the base of the Blue Ridge Mountains and the George Washington National Forest. 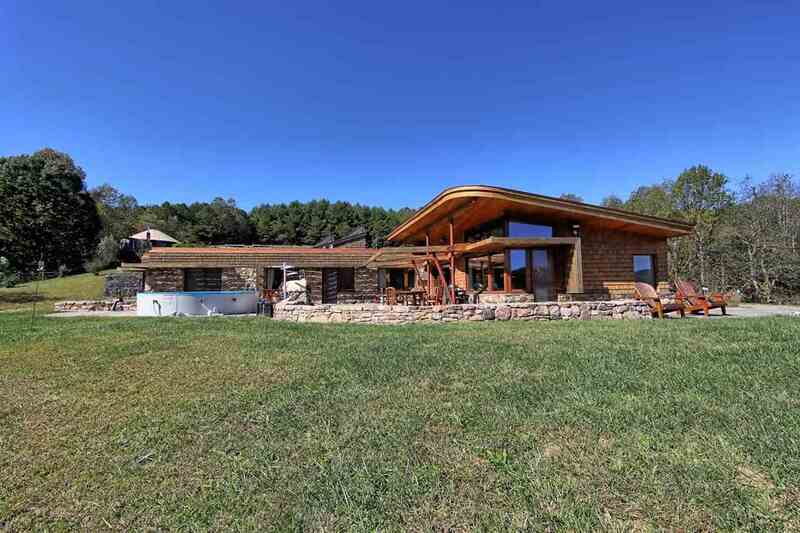 Featuring a fully renovated 5 bedroom home with attached guest cottage, extraordinary 360° panoramic mountain/valley views, 4500\' of frontage on stocked Paul\'s Creek, 3 additional mountain streams and 2 acre pond, fairytale custom cabin with swimming hole and falls. 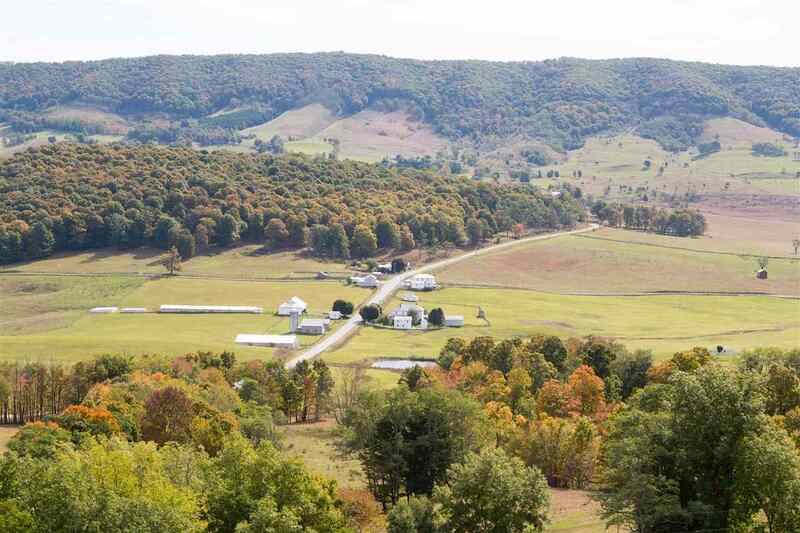 60+/- acres of open field for hay/horses/livestock, the balance in upland woods. 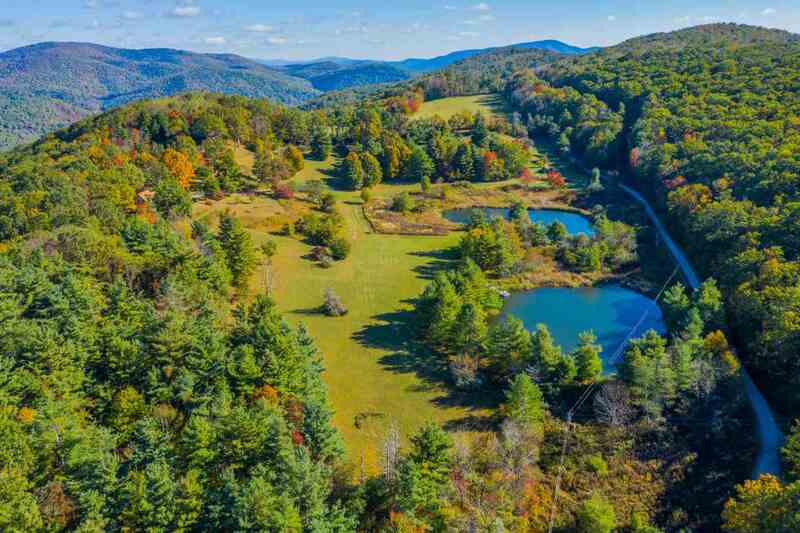 Property holds Stoney Creek membership for owner access to all things Wintergreen. In the heart of Nelson 151 breweries, wineries, cidery, distilleries, skiing, golf and hiking. 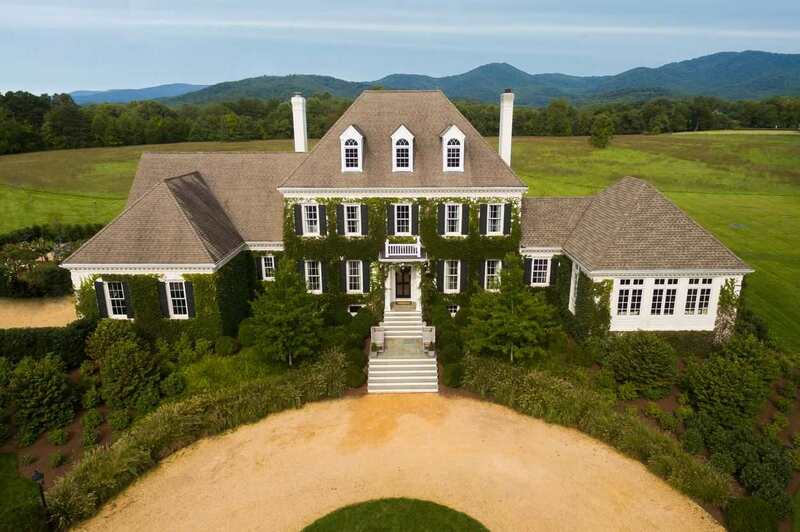 Convenient to Charlottesville & the Shenandoah Valley. 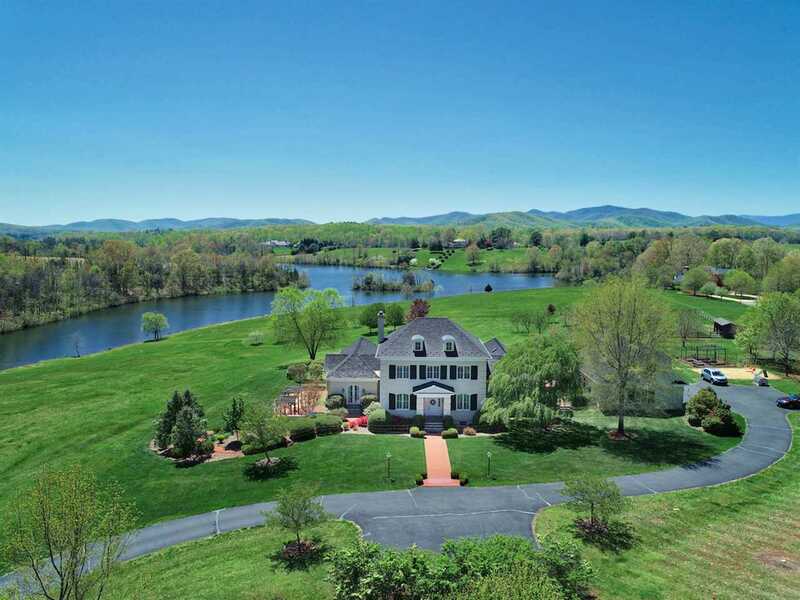 This Equestrian Estate of 27.26 acres offers exceptional amenities in a serene and tranquil setting. 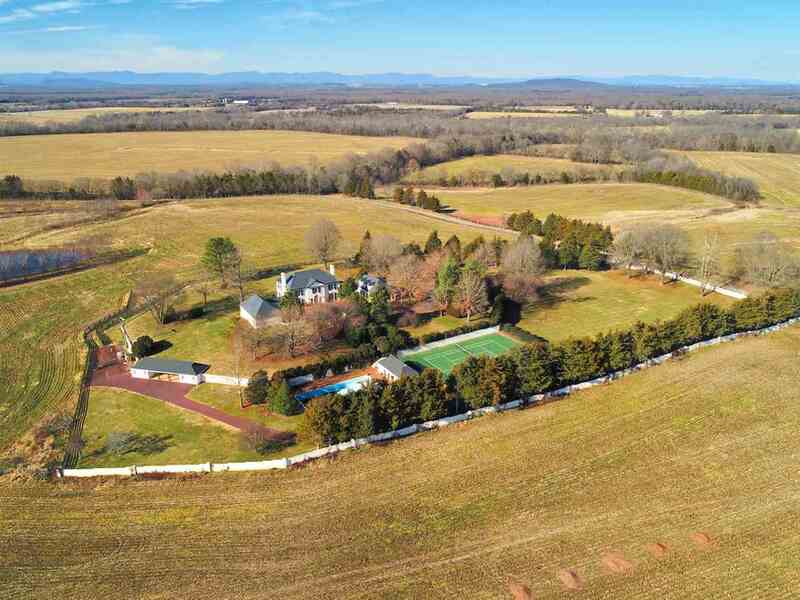 The property is completely fenced for horses and incredibly private. Entering the gated property, with a sophisticated security system, you are met with a lovely drive up to the approximately 5,000 sq. ft. main house. The home offers first floor living with all bedrooms and bathrooms on one level, a two car heated garage with separate 1,254 sq. ft. apartment above. With custom crafted cherry cabinets in the kitchen, imported Eucalyptus hardwood & tiled floors throughout, a classically European style formal dining and living room with a custom built fireplace. 10 stall barn with a foaling stall, lounge and more, a true horse lover\'s paradise! 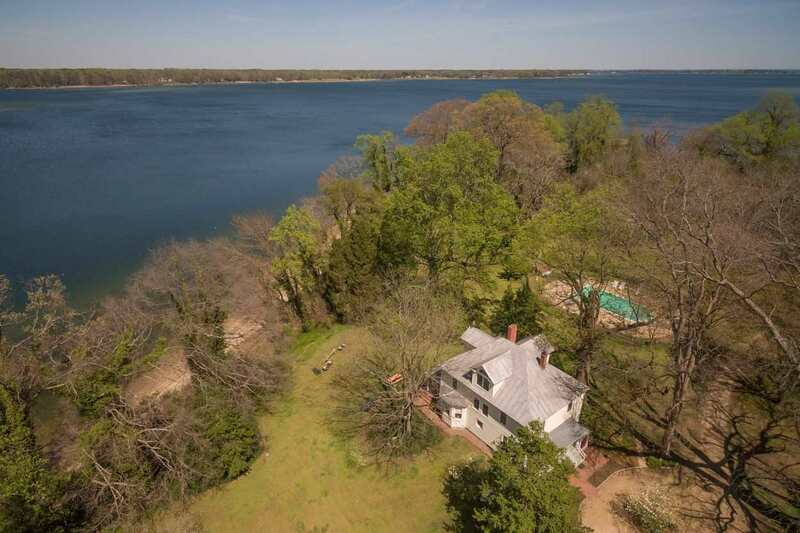 Rare opportunity to won a spectacular 5000+ sf waterfront home with 3-car garage and extensive frontage on the Rivanna Reservoir. With over 18 acres in a close to town and airport yet private location, there can be no more tranquil and convenient spot for a property of this magnitude! Magnificent views abound from almost every room of the house and guesthouse. Relax on the stunning rear patio area with pergola overlooking the pool, reservoir, and expansive lawn or launch your canoe from the private dock. Beautifully renovated kitchen and bathrooms throughout. The 1200 sf guesthouse, built c. 1992, is bound to become your guests\' favorite destination. New Estate Listing in Orange! 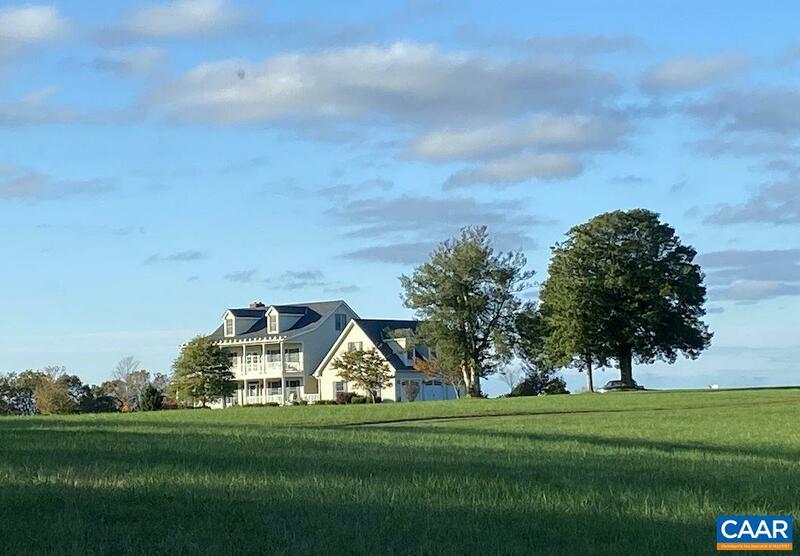 Lowfields is a beautiful 251-acre farm overlooking the James River in Fluvanna County offering spectacular pastoral views and the Blue Ridge Mountains beyond. 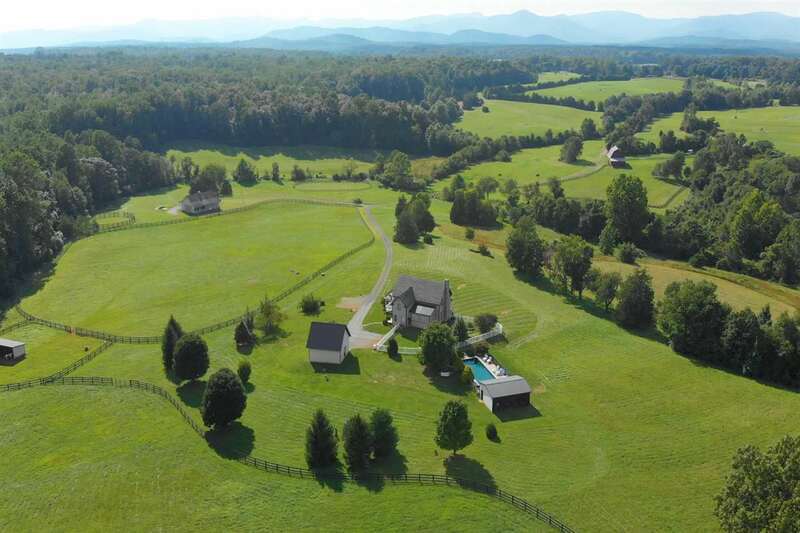 The land is gently rolling, private, fenced with pristine pastures, and offers complete protection by the surrounding 5,000 acres of the historic Bremo Plantation which is under conservation easement. Property includes a 3,600+ sq. ft., energy efficient, main house with Olympic size saltwater lap pool as well as a charming, energy efficient guest cottage. Farm improvements include: equipment barn with bunk house, hay storage, milking parlor, chicken coop, and other barns and outbuildings. Property is under conservation easement with the Virginia Outdoors Foundation. REDUCED ONE MILLION DOLLARS! 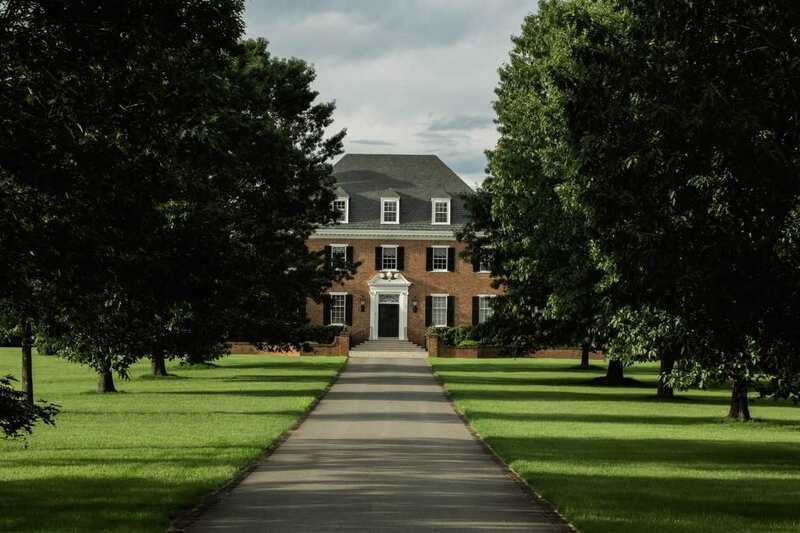 “The Meeting Place” has been a successful corporate retreat/conference center but is also suitable for a B&B or wedding venue near Wintergreen, Charlottesville & UVa. Here are 10 BR’s, 10 ½ BA and nearly 14,000 sq.ft. having fiber optic cable with conference, dining, workout, & training rooms for programs/guests. 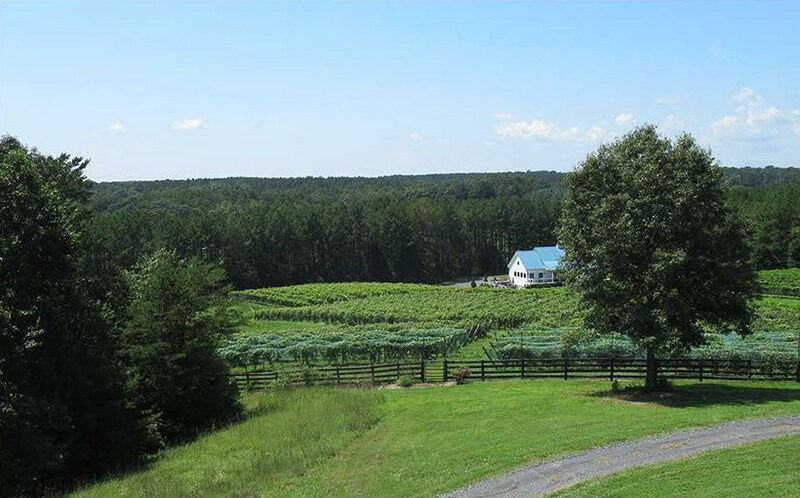 Visitors to TMP will enjoy nearby fine dining and locally produced wines, ciders, spirits and beer along Nelson County’s Brew Ridge Trail where TMP is located. As a host you will draw from the arts through Monticello Artisans Trail, from skiing at Wintergreen and from universally acclaimed golfing at Stoney Creek golf course designed by Rees Jones.16+ acres of lawn & forest with beautiful mtn. views. 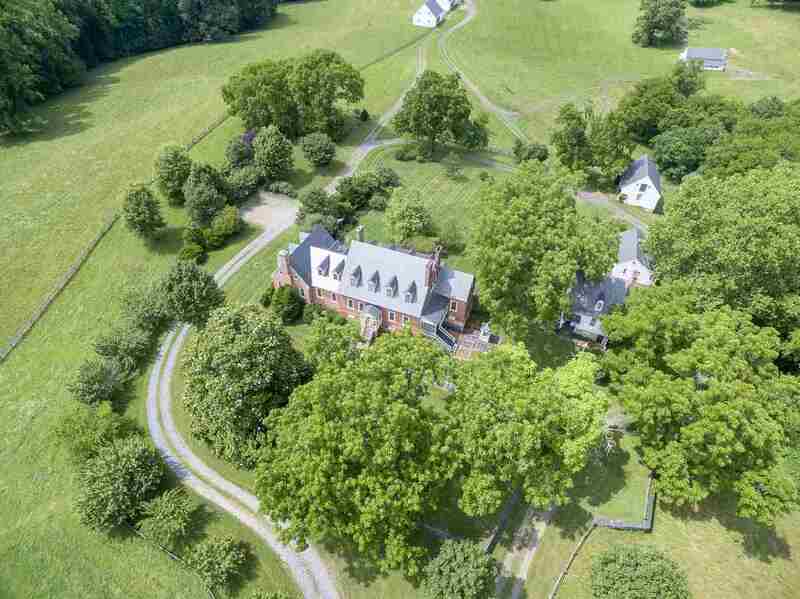 Cobham Creek Farm is a thoughtfully designed 26 acre equestrian farmstead set among large estates just 20 minutes from Charlottesville. 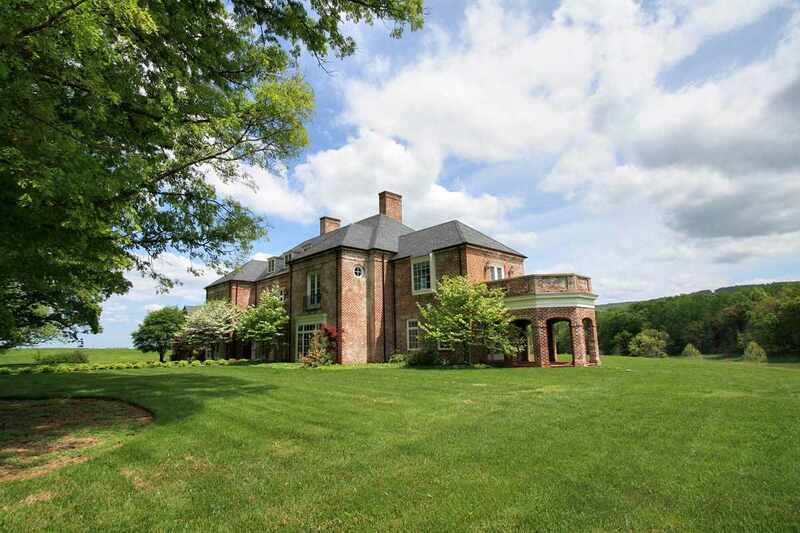 The main residence, once a barn, was restored and expanded by noted contractor Ralph Dammann. Common spaces include a formal living room with heart-pine flooring and an intricate period mantled fireplace, a large conservatory and a sunroom opening to a sweeping flagstone terrace replete with Koi pool and surrounding landscape features. There are 3 bedrooms with full baths, all very private, plus a guest’s powder room. A newer whole-house generator sits aside the 2-car garage which is accessed from the house by a short dog trot. A small, stocked pond borders the front lawn and long driveway. 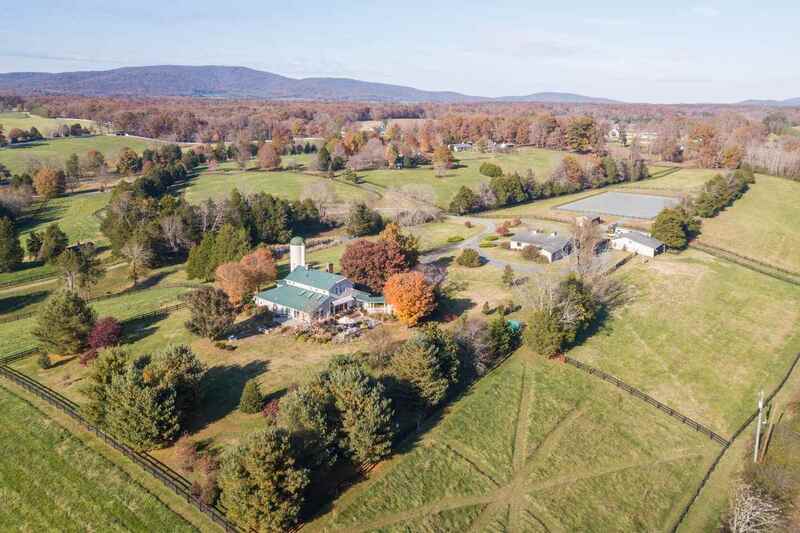 Settled in 1790, and known as the “jewel” of the Blue Grass Valley, Dividing Waters Farm encompasses 875 +/- acres of fertile valley nestled between Monterey Mountain to the east and Lantz Mountain to the west. 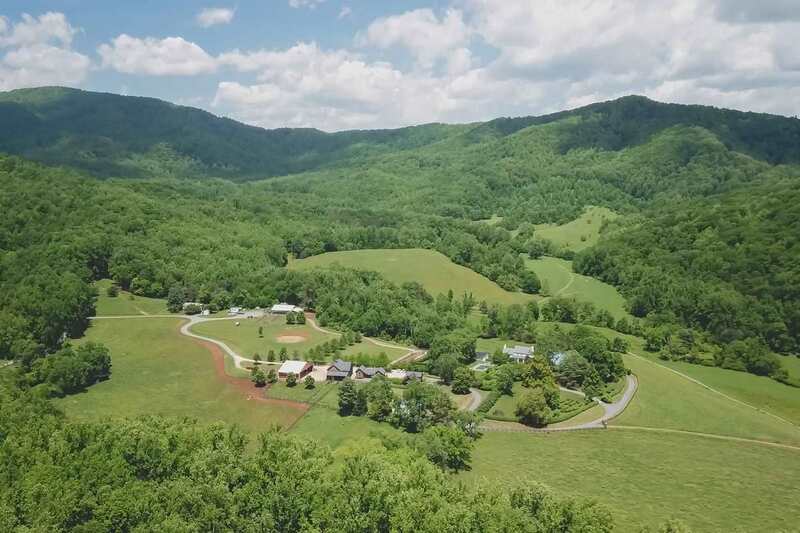 Located in Highland County, Virginia\'s Little Switzerland, this property rises as high as 3800+ feet with plenty of crisp, pure mountain air, and provides the perfect location for cattle and sheep farming with lush pastures and meadows. 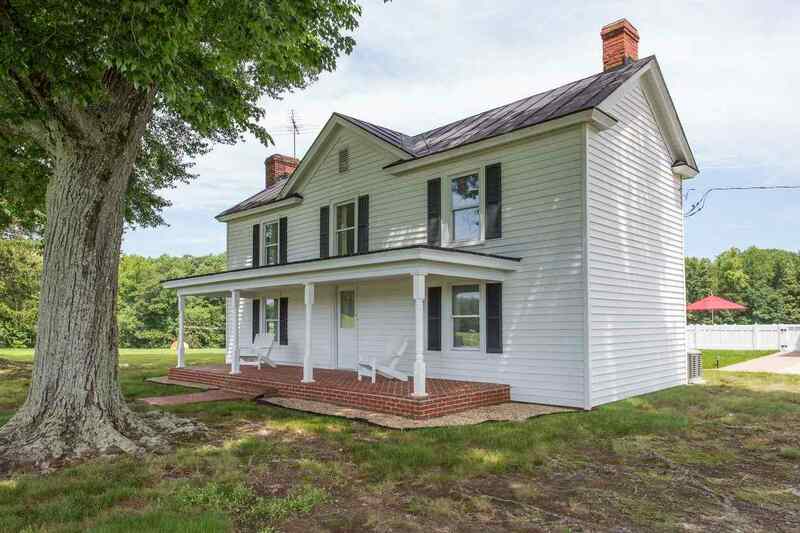 On the market for the first time in seven generations, Dividing Waters presents a rare opportunity to own a Virginia Century farm. This designation means the farm is inhabited and/or farmed by a descendant of the original owner, has been in the same family for at least 100 years. 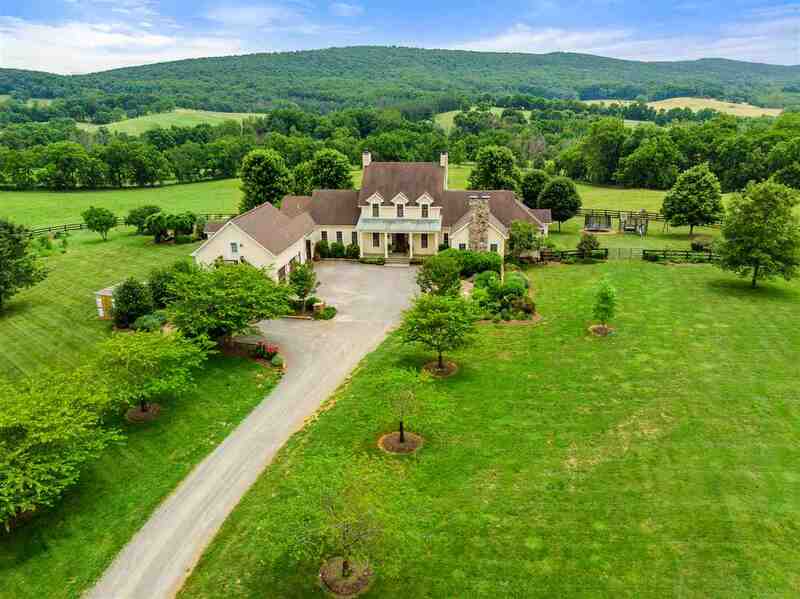 In a beautiful elevated setting of 114 acres with expansive mountain views, this residence is an elegant English country manor replete with all modern conveniences. From the moment you enter the spacious, timbered foyer you know there is something special about this home. 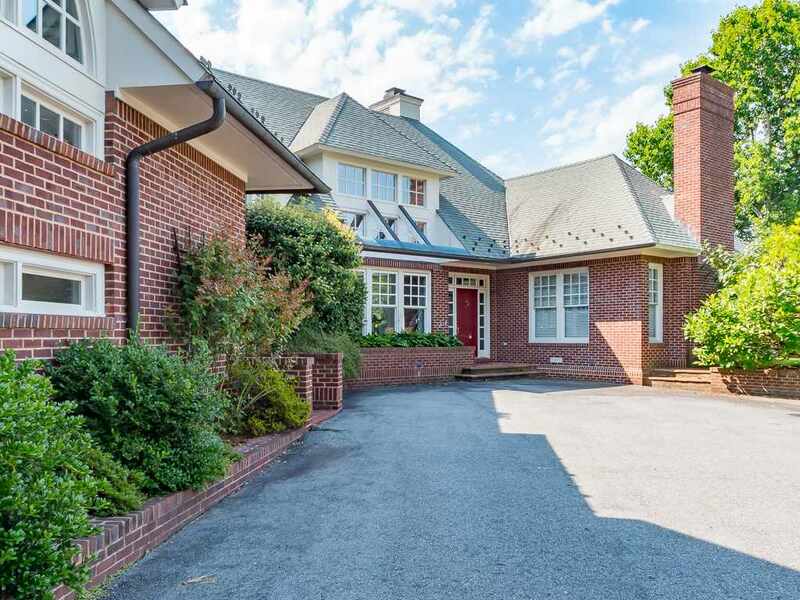 The first floor is comprised of the foyer, walnut library, dining room, music room, gourmet kitchen and adjoining family room, half bath, laundry room, and amazing master suite. The second floor includes 4 additional bedrooms, and a unique widow’s walk. Each bedroom has its own en suite bath. The lower level includes a media room, office, storage and room to grow. An Infinity pool, pool house/guest apartment and 4 car detached garage complete the offering. Fronting on the Moorman\'s River! 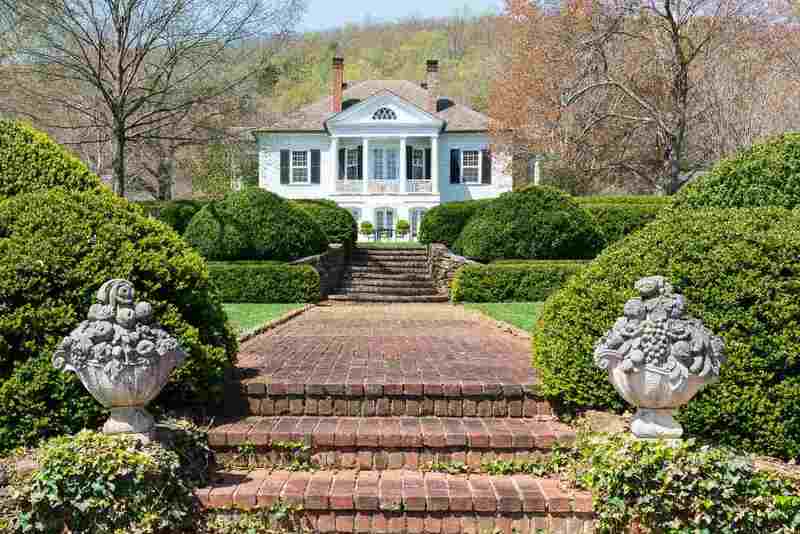 Lizbeth is a spectacular, 76 acre estate nestled among rolling hills west of Charlottesville. 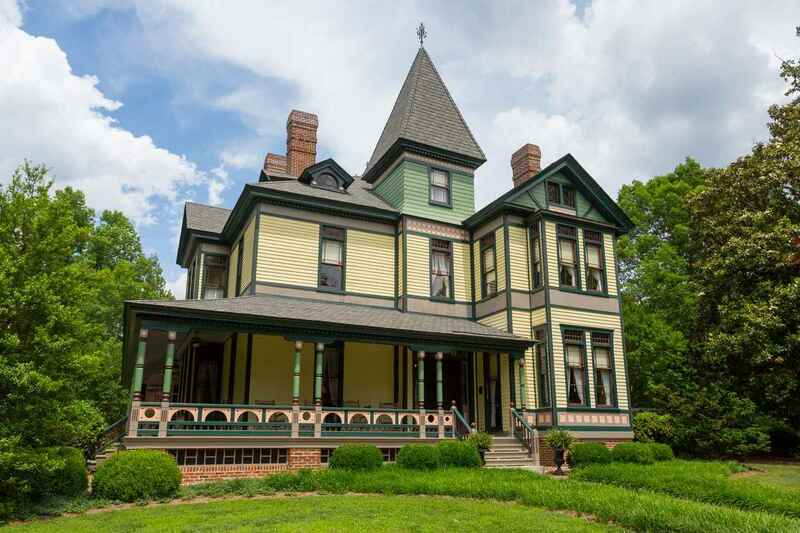 The slate-roofed house features 5 bedrooms and 5 and a half baths on three levels of living. Amenities include heated flooring, a gourmet kitchen featuring Wolf and Sub-Zero appliances, and a state of the art, temperature-controlled wine room. Outside, a bluestone patio, luxurious pool, and breathtaking mountain views await, along with a private lake. There is a garage with an apartment 2 bedroom above and elegant guest cottage/caretakers home also on the property. Magnificent Georgian home, expert craftsmanship, fine details throughout, gracious style, and modern amenities. See photo gallery for extensive information and pictures. Over 9,300 sq. ft. 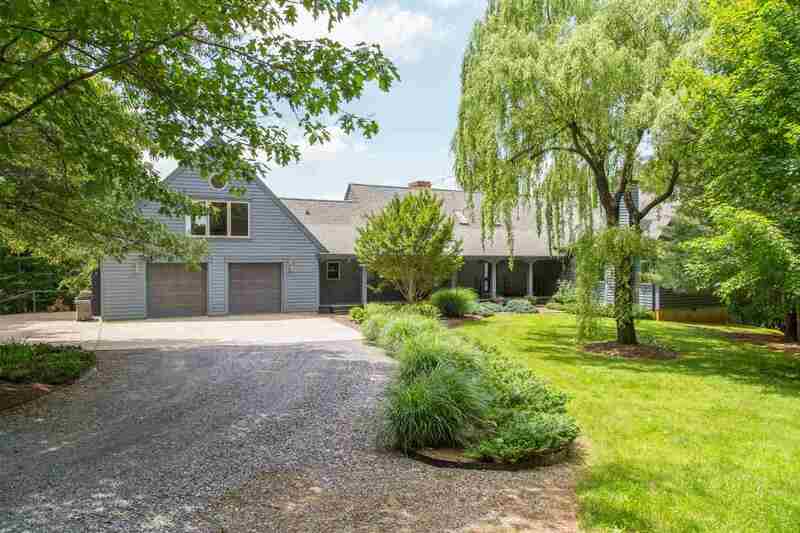 UNDER ROOF, including 6 BR, 6 full and 3 half baths, main-level master, fabulous eat-in kitchen, many entertaining spaces. 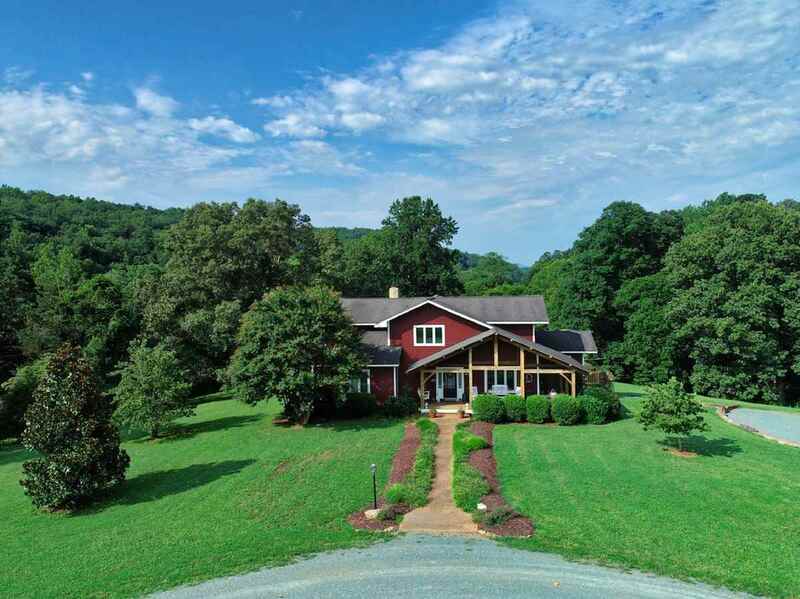 Guest home, and 297 acres w/ panoramic pastoral and mountain views. 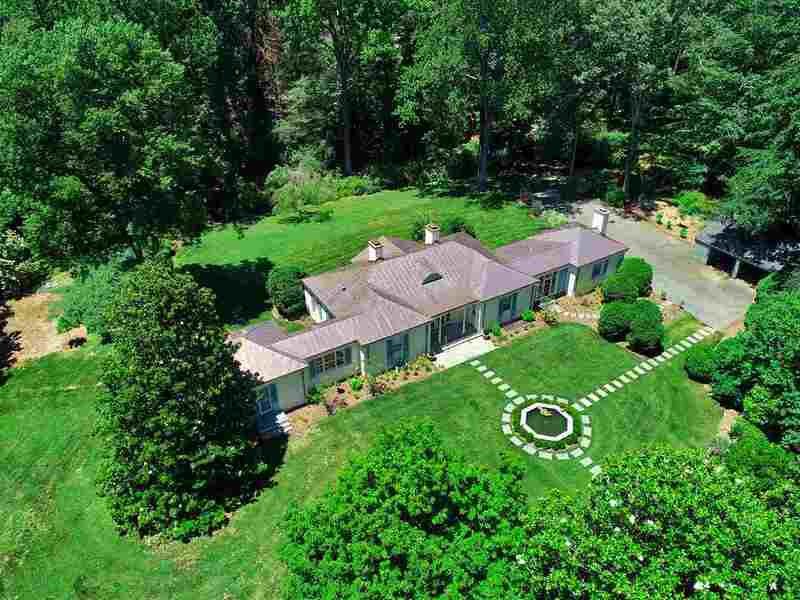 Well located in protected area 16 miles from Charlottesville. 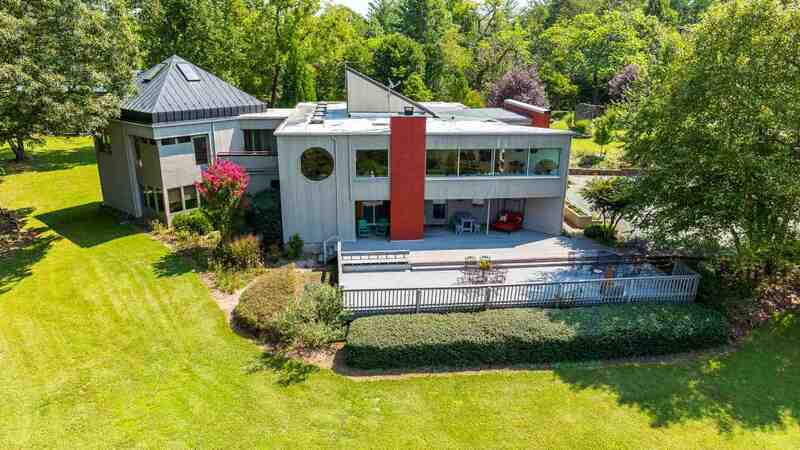 A quintessential Virginia manor home with modern features. Includes 1500 sq. ft. caretaker\'s home, 4000 sq. ft. hay storage barn. 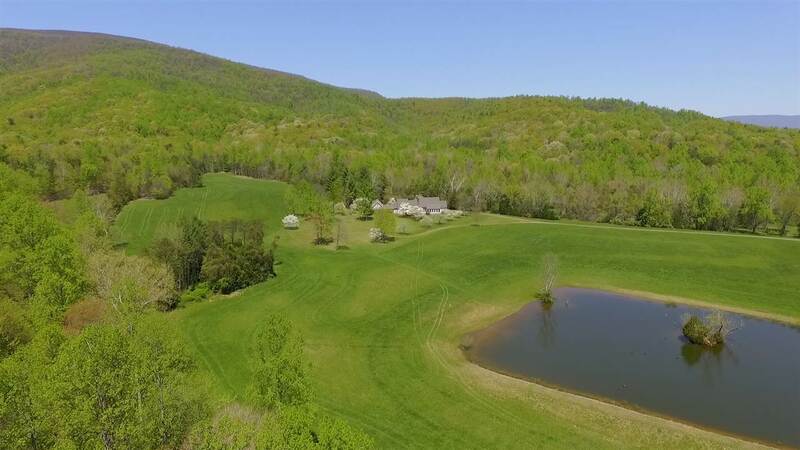 Land is gently rolling, primarily open with both pastures and hay fields, fenced, excellent land for horses or cattle, and fertile bottomland, long frontage on Hardware River. 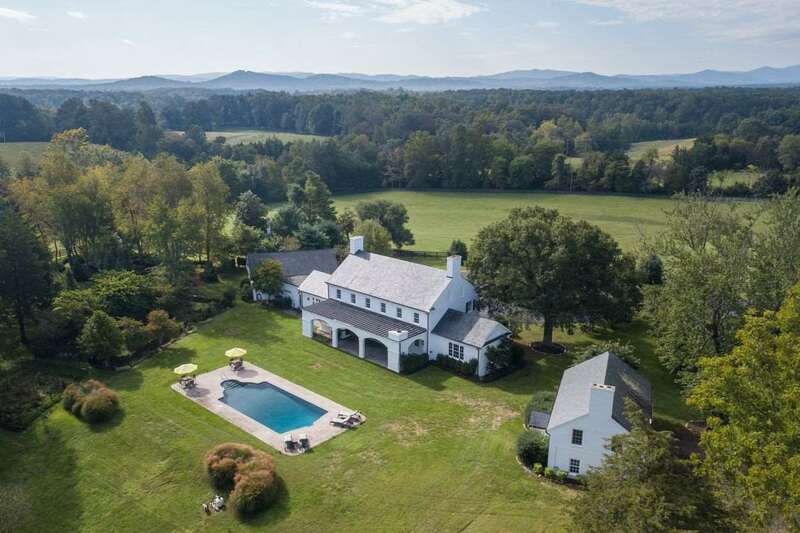 With staggering, panoramic Blue Ridge views on display as soon as one passes through the entrance gates & beyond, Round Hill Farm is truly a rare Charlottesville opportunity: A manicured, 120 acre country estate fronting the Rivanna Reservoir & only 5 mins to all conveniences, 10 mins to UVA + Downtown. After the current owners\' renovations & additions, the c. 1940 brick home offers an ideal balance of entertaining rooms & casual spaces open to the large, modern kitchen. The pool\'s setting, like so many places on this remarkable property, is framed by the views. 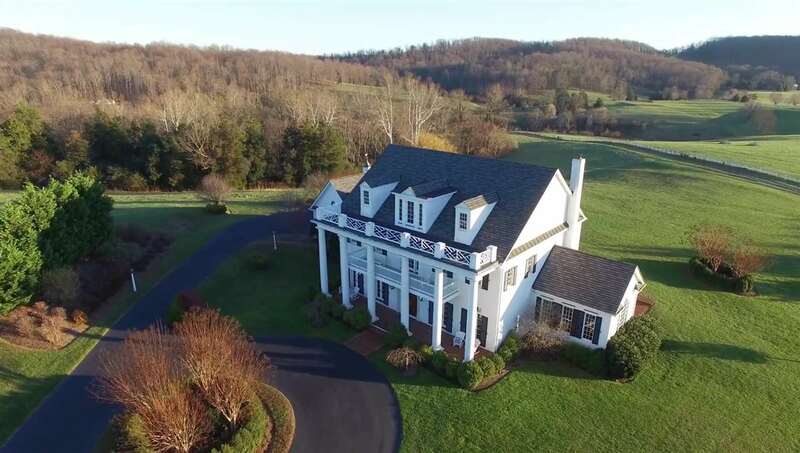 Add\'l features: garage apt, pool kitchen & bath, 7 fireplaces incl\' 1 at the covered, bluestone porch overlooking the views, gardens, greenhouses, barns, geothermal HVAC. 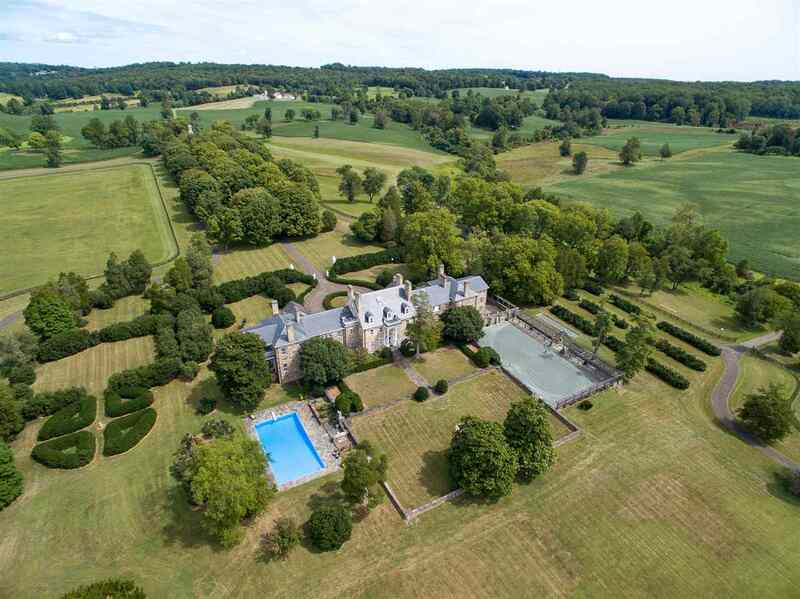 This 763-acre equestrian paradise features a meticulously updated 1904 grand Classical Revival. 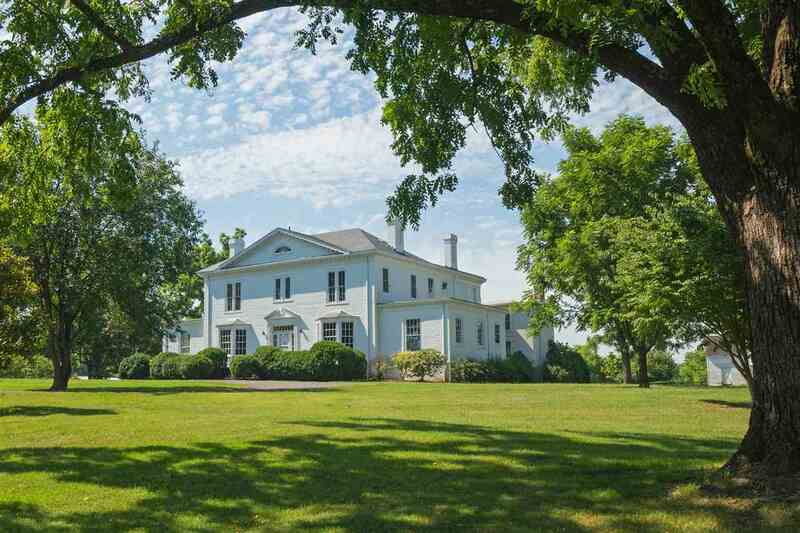 Highlights of this quintessential gentleman\'s farm – reflective of a bygone era, but with modern conveniences – include 3 dependencies offering bedrooms, bathrooms and kitchens in all. A formal dining room and living room, perfect for entertaining and an inviting family kitchen and warm breakfast nook. The master suite is an oasis of luxury with separate his and her bathrooms and closets. Not to be missed is the widow’s peak with sweeping 360 views, which offer a spectacular Fourth of July show from multiple surrounding towns. There are extensive and state of the art Equestrian amenities as well. 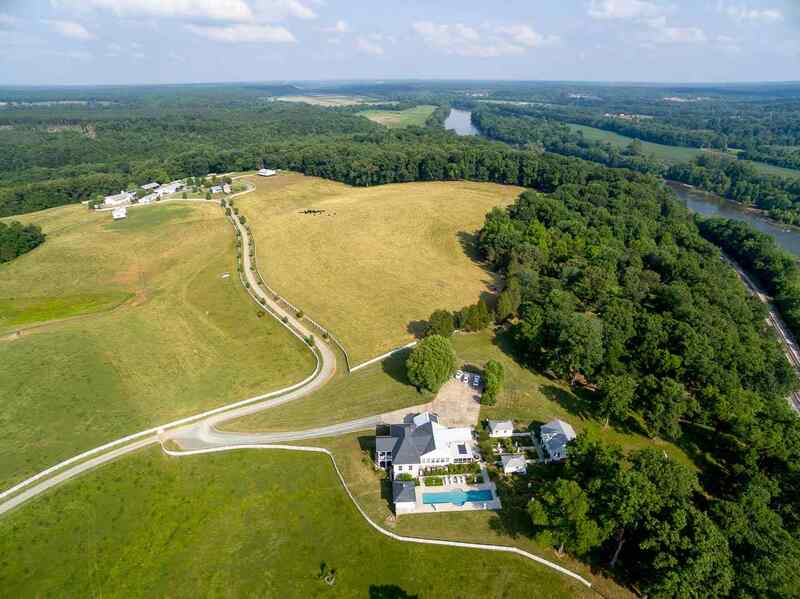 100-acre estate (2-50ac parcels) with 8100 s.f. 5br executive home, 4br 3500 s.f. manor house & two additional residences. Forests with trails & several enclosed horse pastures. Convenient location and expansive Westward views over vineyards. Property conveys with established agribusiness earning over $2.8M annual revenue and consists of 70-acres. 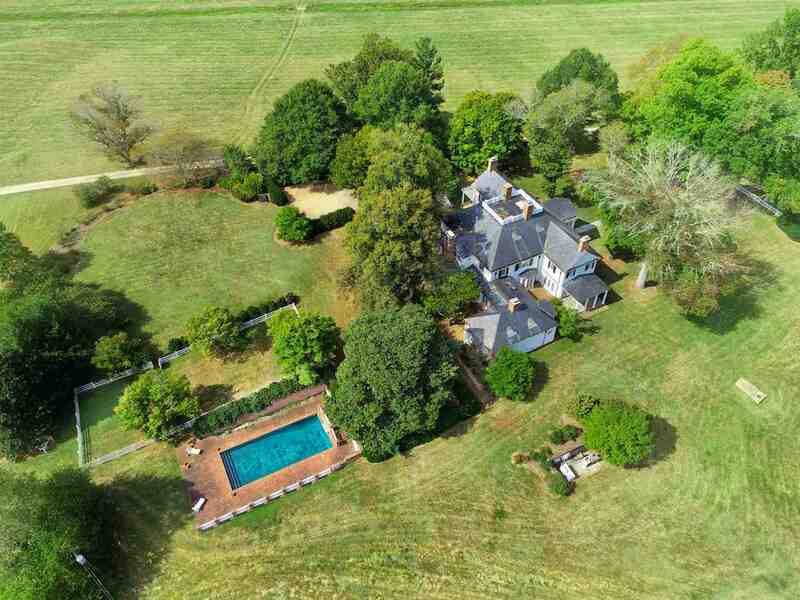 Exquisite country estate situated on 500+ beautifully maintained acres only minutes from Downtown Charlottesville. 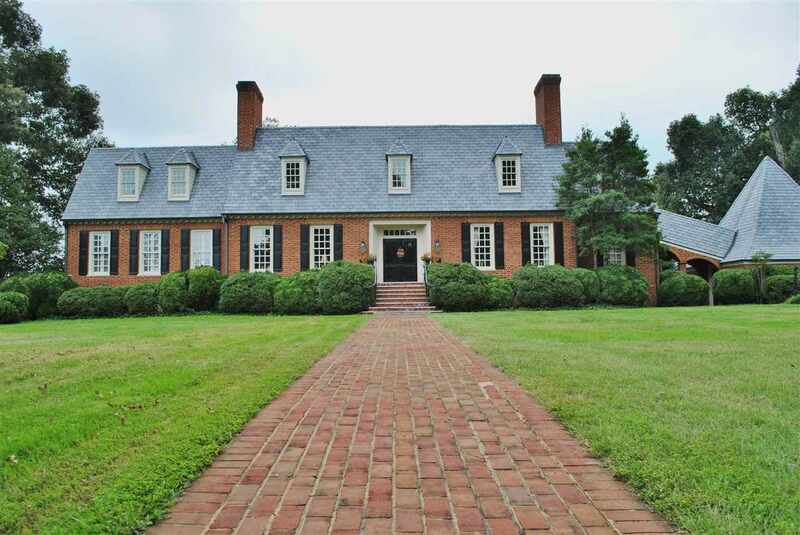 This classic, Georgian, manor home boasts 10’ ceilings, 5 bedroom suites, an open floor plan with a gracious kitchen and living area. Not to be missed, are the extensive grounds and Gillette gardens, a pool with pool house, guest cottage, and state of the art equestrian facilities. 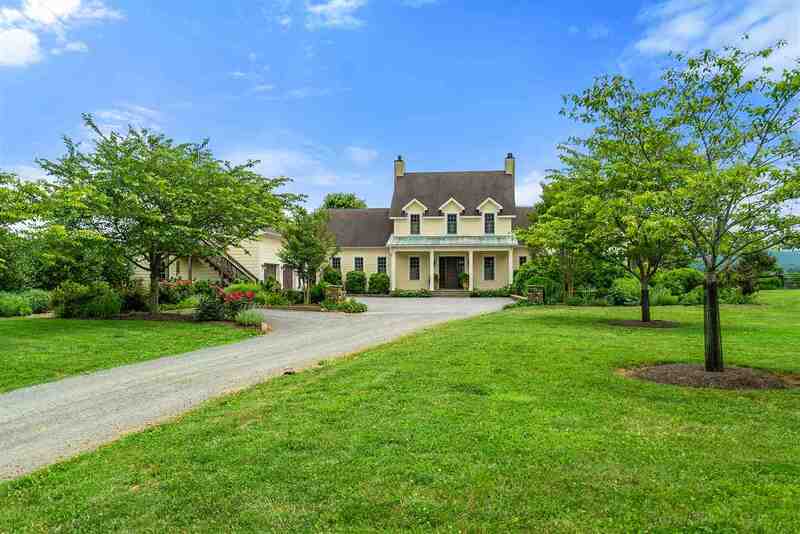 A large dairy barn converted for hosting elegant events provides significant income. 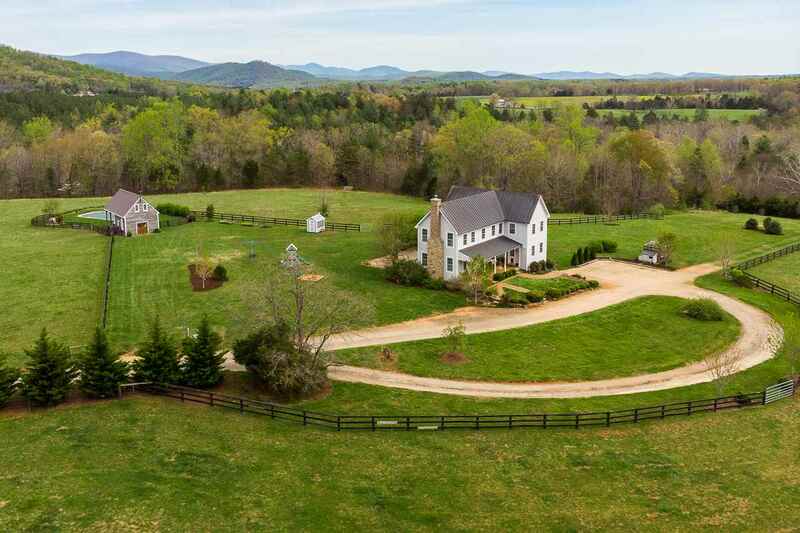 With stunning mountain views, this private and classic Jeffersonian manor and equestrian estate is only 5 minutes from UVA! 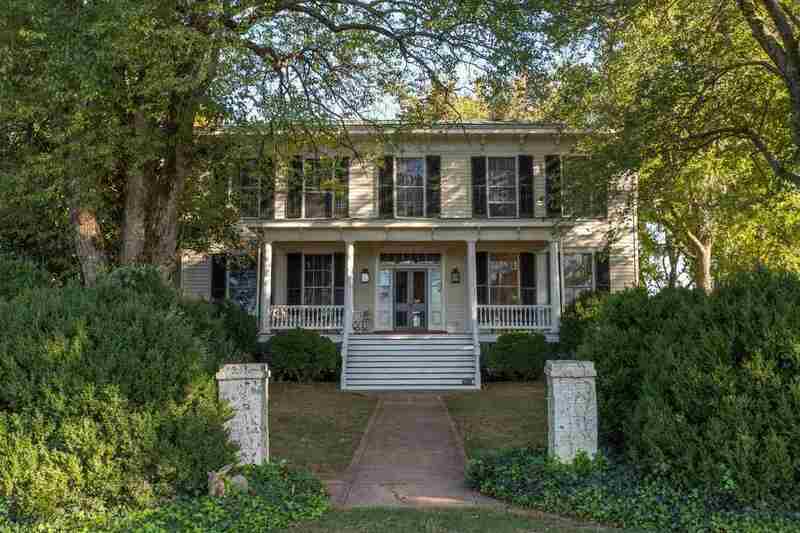 Copyright ©2004-2019 Charlottesville Area Association of Realtors®. All rights reserved. Information deemed to be reliable but not guaranteed. 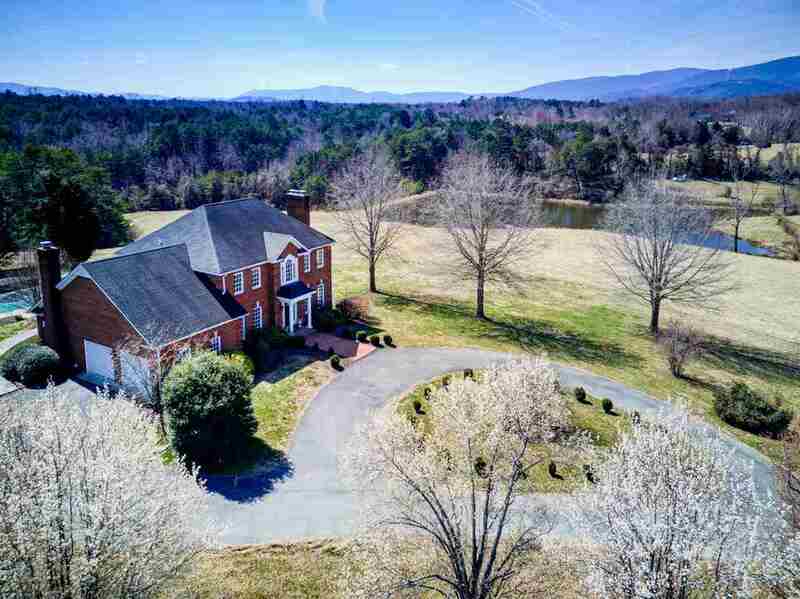 The data relating to real estate for sale on this website comes in part from the IDX Program of Charlottesville Area Association of Realtors®. Listing broker has attempted to offer accurate data, but buyers are advised to confirm all items. Any use of search facilities of data on this site other than by a consumer interested in the purchase of real estate, is prohibited. Information last updated on 04/21/2019 09:30 AM.